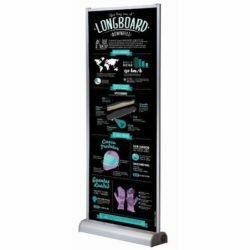 Wall Banner features high quality mechanisms for a durable and long-lasting poster display. The side profiles keep the poster straight and firm in place. The base houses the poster and profiles. It is also used to create walls fixing several Wall Banners. Wall Banner is able to display posters printed both side. 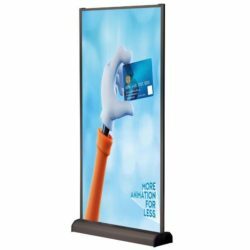 As a premium banner stand, wall banner features high quality Rolling mechanism for a durable and long-lasting banner display. The side profiles keep the poster taut and firm in place. The base houses the poster and the side profiles. As many as wall banners can be connected to create walls. Both side printed banner can be displayed which makes the banner double sided. Side profiles are collapsable and can be stored in the base. Bottom and top profiles are clamped. 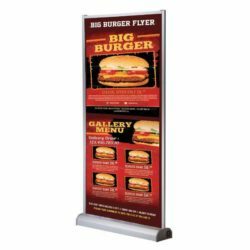 Wall banner can be used both single or double sided. 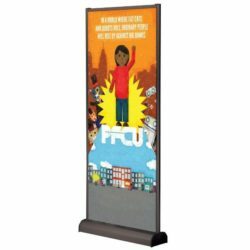 If you need to create rooms the spaces or an attention grabbing graphic back wall to your booth or stand, these multi banner walls are just great products for you. Construct your own wall within minutes. 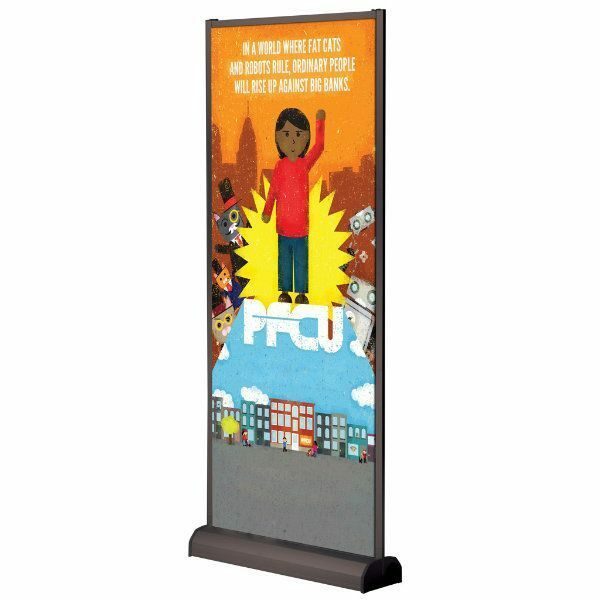 This wall banner is for 31-1/2 x 78-3/4 /4 poster size and has black anodized finish.